This board is used for input/output and processing of digital video signals in SD/HD/3G/ SDI and ASI formats. 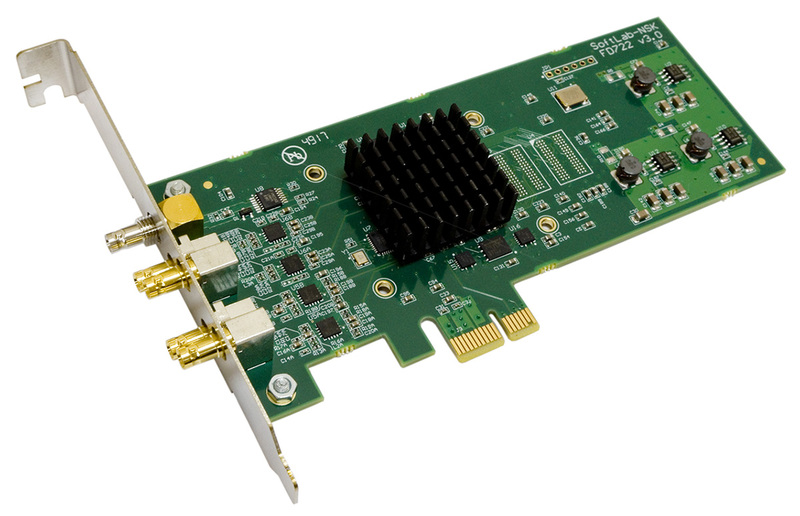 The FD722 board is the hardware for Forward T and Forward TS products. It can also be used as part of Forward Goalkeeper, Forward Referee, Forward Ingest, Focus virtual studios. There is a Fill + Key mode for external mixing. 2 x HD-BNC outputs for connecting SDI/ASI signals. The HD-BNC-> BNC adapters for conection input and output signals to board are included. Synchronization audio to video, configurable audio delay (independently for each input mono channel).